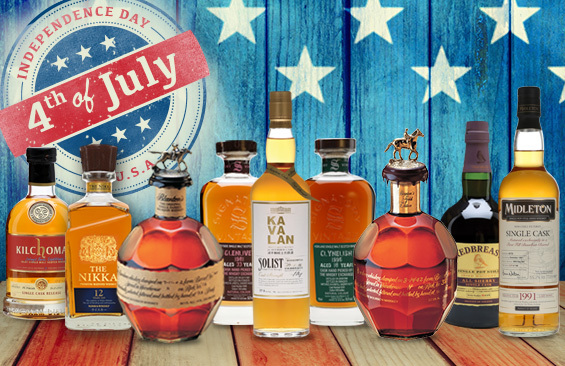 Home WHISKY & WHISKEY Irish Whiskey Get ready for Independence Day! 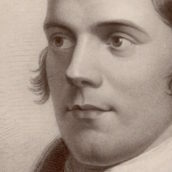 It’s just a couple of weeks until 4 July – Independence Day – and to celebrate, we’ve selected some of our favourite whiskies, all ideal if you’re planning a party, whether you’re in the US or not. 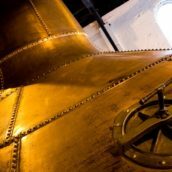 We’ve chosen whiskies from across the globe – smooth bourbons, complex Scotch, whisky from the Far East and a mix of ages and prices, so you’re sure to find something good. First up, two great bourbons from Blanton’s. Blanton’s Original is an award-winning textbook example – each bottle is filled from a single unblended cask. The Gold Edition is sensational, too. Bottled at 103 proof, it’s bursting with aromas of dried fruit, milk chocolate and honey. Ironically, it’s very hard to find in the US itself – but we have it! 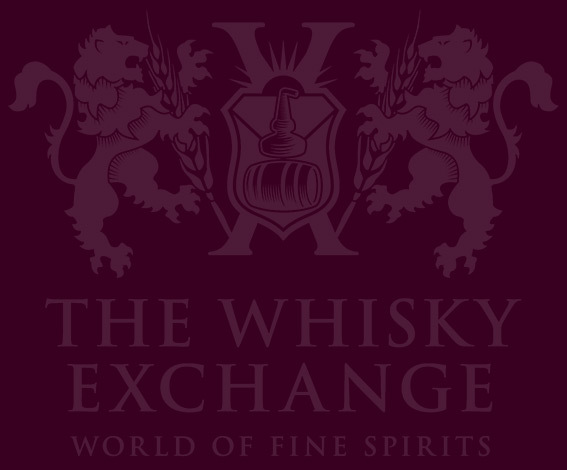 A trio of tasty Scotch whiskies next, all exclusive to The Whisky Exchange. We are lucky enough to be able to taste individual whiskies straight from the cask and bottle them for our customers. 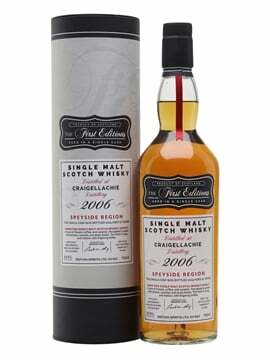 One example is Clynelish 1996 18 Year Old, a big, rich, sherried whisky we selected from independent bottler Signatory Vintage. Another is Kilchoman 2010 PX Finish, a delicious mix of peaty Islay whisky given an extra layer of rich fruit and spice from extra maturation in Pedro Ximénez sherry casks. The third Scotch is a mature, venerable example from one of the best-known Speyside distilleries: Glenlivet. This sherry-matured example was distilled back in 1981, and adds a rich layer of spice to Glenlivet’s fruity spirit. You won’t find these whiskies anywhere else. Our two Irish whiskeys have more in common than just provenance. 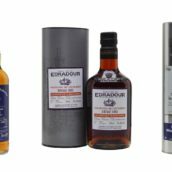 Both were chosen by our customers at an Irish Distillers tasting we held in London (read more about it here). The first, Redbreast 1999 Sherry Cask, was aged for around 15 years, with vanilla, coffee and wood spice the dominant notes. The second is a 1991 Midleton aged for 24 years in a first-fill bourbon cask – a cinnamon-tinged whiskey with delicious vanilla and tropical-fruit notes. Both are exclusive to The Whisky Exchange. Our final two whiskies are from Asia. 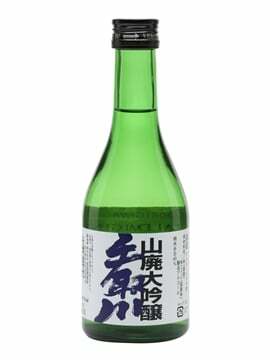 The Nikka 12 Year Old is the latest release from this revered Japanese distillery – it’s an excellent blend, with toffee, butterscotch and fruit cake the key notes. 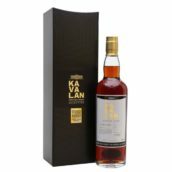 And from Taiwan, we have Kavalan Solist Bourbon Cask – a rich, fruity whisky aged in ex-bourbon oak. Kavalan has won acclaim from renowned whisky writers around the world – definitely one to try. 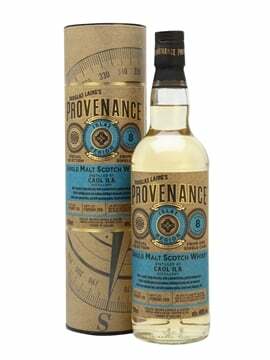 Nine whiskies covering a wide range of styles, flavours and ages – all are available here. Choose your favourite and have a great 4th of July!